As Bitcoin soars, what will 2018 bring for cryptocurrencies? Fireapps CEO Wolfgang Koester reacts to reports that Bitcoin surpassed $15,000 in trading on Thursday, speculating what the next year could bring for the controversial cryptocurrency. NEW YORK/SYDNEY/LONDON (Reuters) - Bitcoin futures eased back from an initial surge of almost 22 percent to trade up 13 percent on Monday, in an eagerly awaited U.S. market debut that backers hope will confer greater legitimacy on the volatile cryptocurrency and lead to its wider use. Although bitcoin futures were already offered on some unregulated cryptocurrency exchanges outside the United States, the Chicago-based Cboe Global Markets&apos; (NASDAQ:CBOE) launch marked the first time investors could get exposure to the market via a mainstream regulated exchange. The debut on Sunday night may have caused an early outage of the Cboe website. The exchange said that due to heavy traffic, the site "may be temporarily unavailable". As of 1112 GMT the one-month future was up 13 percent from the open at $17,450, around $1,000 higher than the "spot" bitcoin price - the price at which bitcoin is currently being bought and sold. "The premiums have so far been very high, demonstrating that few want to take the short side of the trade," said Altana Digital Currency Fund manager Alistair Milne, whose fund has $35 million in assets under management. "It will take time for derivative volumes to build up, but eventually if they prove to be a significant percentage of the global trade, they should in theory help stabilize things," said Milne. "There’s no place for bitcoin in a multi-asset portfolio given the very high volatility," said Robeco Chief Investment Officer Lukas Daalder. "We&apos;ve looked at it in the past but if you look at the number of times that you need to trade to keep your exposure at the same level, after one week you need to rebalance the portfolio already," he added. On the Luxembourg-based Bitstamp <BTC=BTSP> exchange, bitcoin prices surged 12.5 percent on the day to $16,570, close to an all-time high of $16,666.66 hit on Friday. Bitcoin is up more than 1,500 percent so far in 2017, having started the year at less than $1,000, and its gains in the past month have been rapid. Experts had worried that the risks associated with the currency&apos;s Wild West-like nature could overshadow the futures debut. Bitcoin tumbled 20 percent in 10 hours on Friday. "Even if there is an institution or institutional-sized trader out there, they are going to want to make sure that the mechanics work first, just for the futures," said Ophir Gottlieb, chief executive officer of Los Angeles-based Capital Market Laboratories. "I think the excitement will come when the futures market is established. That can take a few days," Gottlieb added. While bitcoin&apos;s price rise mystifies many, its origins have been the subject of much speculation. "It looks remarkably like a bubble forming to me," the Reserve Bank of New Zealand&apos;s Acting Governor Grant Spencer said on television on Sunday. "We&apos;ve seen them in the past. Over the centuries we&apos;ve seen bubbles and this appears to be a bit of a classic case." Many investors have stood on the sidelines watching its price rocket. However, it is possible to buy bitcoin without having to spend the full price of one coin. Bitcoin&apos;s smallest unit is a Satoshi, named after the elusive creator of the cryptocurrency. Heightened excitement ahead of the launch of the futures has given an extra kick to the cryptocurrency&apos;s scorching run this year. The CME Group <CME.O> is expected to launch its futures contract on Dec. 17. 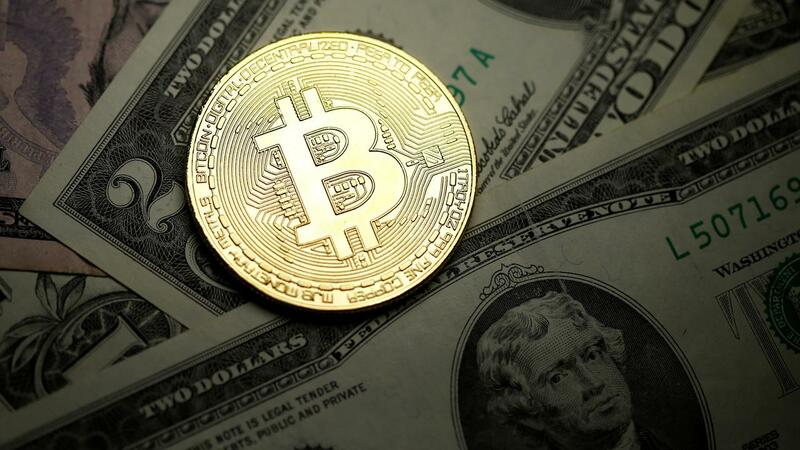 "You are going to open up the market to a whole lot of people who aren&apos;t currently in bitcoin," said Randy Frederick, vice president of trading and derivatives for Charles Schwab in Austin, Texas. Several online brokerages, including Charles Schwab Corp <SCHW.N> and TD Ameritrade Holding Corp <AMTD.O>, did not allow trading of the new futures immediately. The Financial Times reported on Friday that JPMorgan Chase & Co <JPM.N>, Citigroup Inc <C.N> would not immediately clear bitcoin trades for clients. Goldman Sachs Group Inc <GS.N> said on Thursday it was planning to clear such trades for certain clients. Bitcoin&apos;s manic run-up this year has boosted volatility far in excess of other asset classes. The futures trading may help dampen some of the sharp moves, analysts said. "Hypothetically, volatility over the long run should drop after institutions get involved," Gottlieb said. "But there may not be an immediate impact, say in the first month."